We manufacture all sorts of custom inflatables for your specific needs. 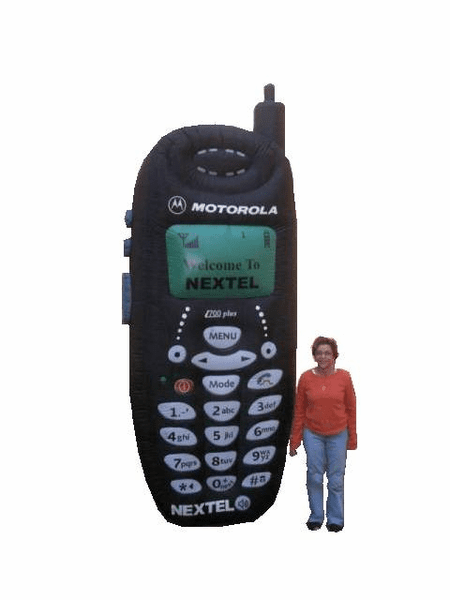 This 10' tall cell phone will draw attention to your place of business. Have a cell phone or communication business? Maybe this is your answer to draw customers into your store.